Freckles in April: Let's Talk About My Awkward Phase, Shall We? Disclaimer: This is a sponsored post. However, all thoughts, opinions and super awesome pictures of my gangly years are my own. Click here to view my full disclosure policy. I actually wanted braces. I can't possibly be alone in that, can I? They are a teenage rite of passage and I was eager to jump right in with all my metal-mouthed friends. I obviously did not realize they were just going to make an already awkward phase of life that much more awkward. 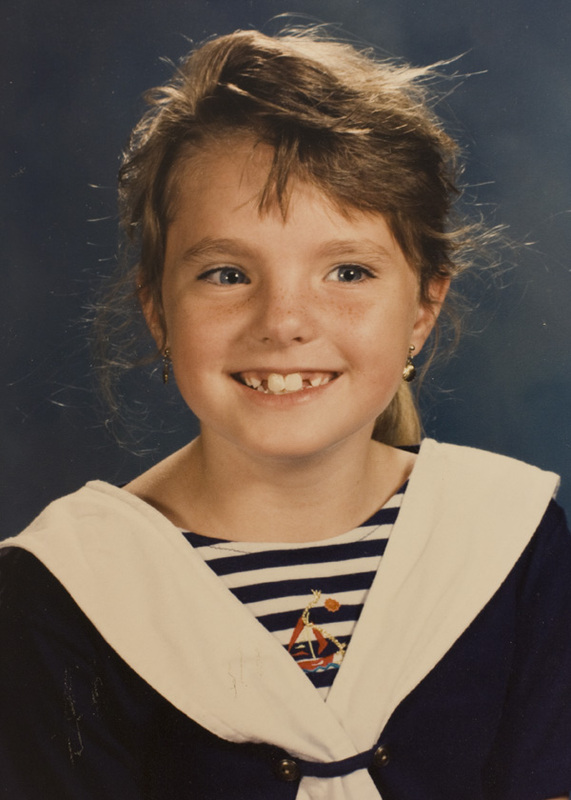 To be fair, this was second grade, so I did grow into my teeth a little bit. But you can already see the beginnings of the overlapping front teeth and overbite that put me in metal for two years. I got braces during the summer between 5th and 6th grades. A time of bad hair, knobbly knees and braces! Yay, braces! First day of 6th grade. You're welcome. I felt a bit betrayed. Braces were supposed to make me feel cooler and older, not sore and raw. After I got them on I ate nothing but mashed potatoes and chocolate milkshakes for almost a week and then repeated that diet every four to six weeks when I got them tightened. I spent two years waking up with the imprint of metal on my lips. The brackets chewed up the inside of my cheeks so badly that they scarred. I can still feel the exact spots where the brackets cut in. I had at least two emergency orthodontic appointments when wires popped loose and stabbed me in the gums. A couple months in, my orthodontist added rubber bands to the torture. I was to wear them all day, every day, except when eating. The night after I brought home my little package of rubber bands I misplaced them. I wandered into the kitchen asking, "Has anyone seen my rubbers?" My dad snorted while my mom gently explained that "rubbers" was another term for condoms and perhaps I shouldn't refer to my rubber bands as such. I do NOT miss being 11. THIS is why I am so glad I didn't have much access to technology at 11. One weird selfie during the entirety of my teenage years. ONE. And it has lived in a dark box in a closet until right now. When I was in high school a few of my classmates started showing up at school with clear plastic trays on their teeth instead of metal braces. Their teeth looked amazing during the whole process and they never had to wake up at 3am with a popped wire jabbing it's way toward their brains. At seventeen I had been blissfully braces free for four years but the raised scars inside my cheeks served as a constant reminder of the discomfort and unattractiveness I had endured from ages eleven to thirteen. "What the heck?" I thought, "How come they get to skip all that?" Cheaters. Invisalign works just as well as traditional braces. The cost is comparable but the comfort level is infinitely higher. No headgear, no brackets tearing holes in your cheeks, just clear aligners made of lightweight plastic. You DO have to give up red and green bands for your brackets for Christmas, but I think you'll survive. See how Invisalign works here. They have both Teen and Adult options, so if you never got braces as a teen or if your teeth have moved around a lot since then and you couldn't face the thought of doing the metal-mouth again, you're in luck! I'm sure there are at least two sets of braces in our family's future. I'm so glad my boys will have the option of skipping traditional braces! To learn more, visit Invisalign on the web, Twitter or FB. Or, find a doc who specializes in Invisalign here. Not all orthodontists and dentists are certified Invisalign providers. Use the locator before you make an appointment! How was your braces experience? Did you skate through gracefully (hate you) or did you have the same character building opportunity I did? Bwhahaha, I love this all so much. 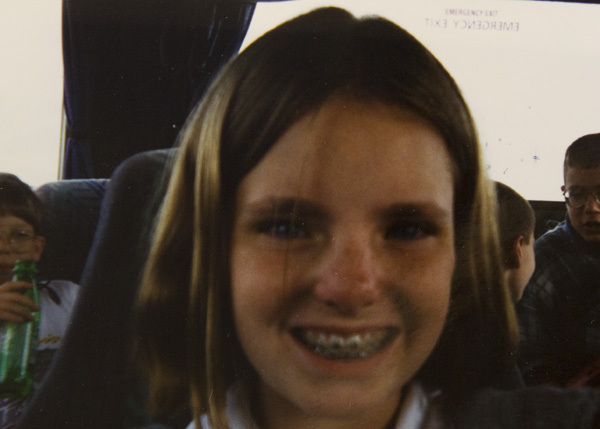 I never had braces, but I have had a few awkward photos or twenty. I adore this post SO much. This is so cute :) I never had braces, they were really uncommon in India during my childhood (I'm 24 now), and although I have a pair of rabbit teeth in front, my mom never had me put them on. 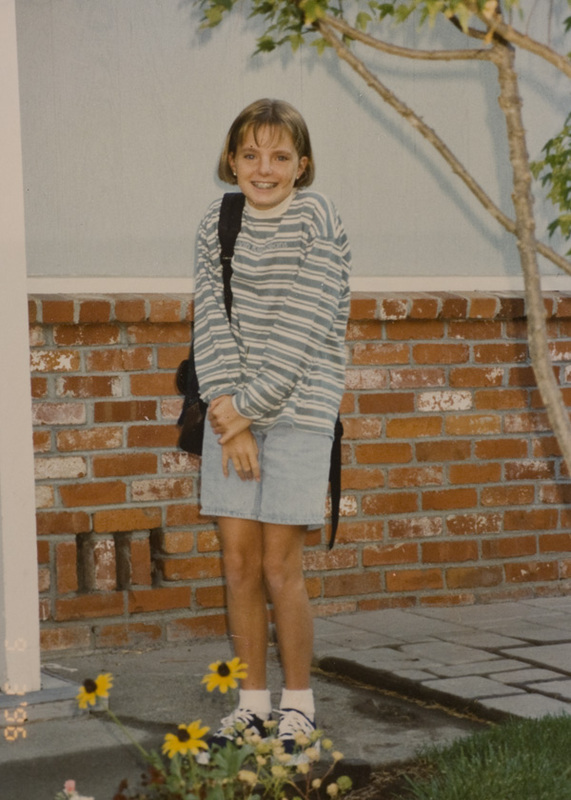 But I have really awkward childhood photos because I was conscious of my teeth and would never smile in photos. Never. PS: the first picture resembles Stephanie Tanner from Full House a lot!